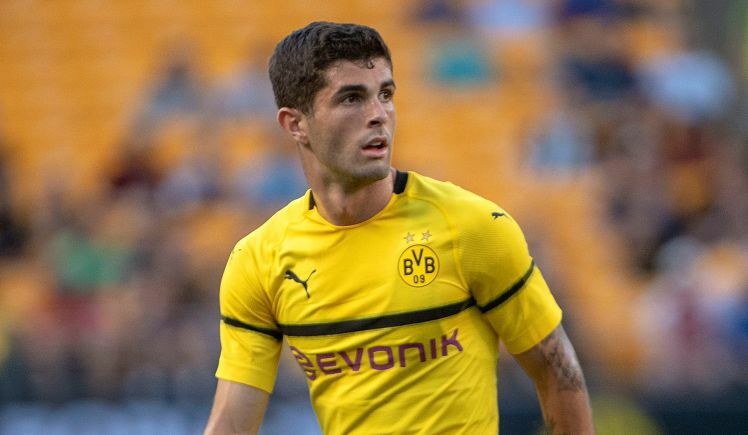 England ex-international and FIFA World Cup record holder, Gary Lineker, has said he believes Christian Pulisic has a “real chance” of making a big impression at the Stamford Bridge and could become a “superstar” for Chelsea. Chelsea fans were raving about Pulisic, an American professional footballer, after he netted a tremendous goal for Borussia Dortmund in their German Cup game against Werder Bremen. Pulisic will leave Dortmund in the summer after joining Chelsea for £57.6million at the start of January. Speaking in a chat with Football.London, Lineker said: “I’ve seen quite a bit of him and I think he’s got a lot of talent. He’s not been an out-and-out regular in their side. “He is talented, there’s no question about that. “It’s good to see a young American talent because if he does become a superstar that will be a real lift for the game over the other side of the pond. “He’s got a lot of talent and it will be interesting to see how he does at Chelsea. “He’s got a real chance, but if I could pick one of them I would definitely go with Sancho.